TOC speaks to experts and officials from the ministry, church and the scientific community. Lim Say Liang. In “God sneaks into our classrooms” (Part One), we raised the spectre of stealth religion in our schools. In particular, Creationism. 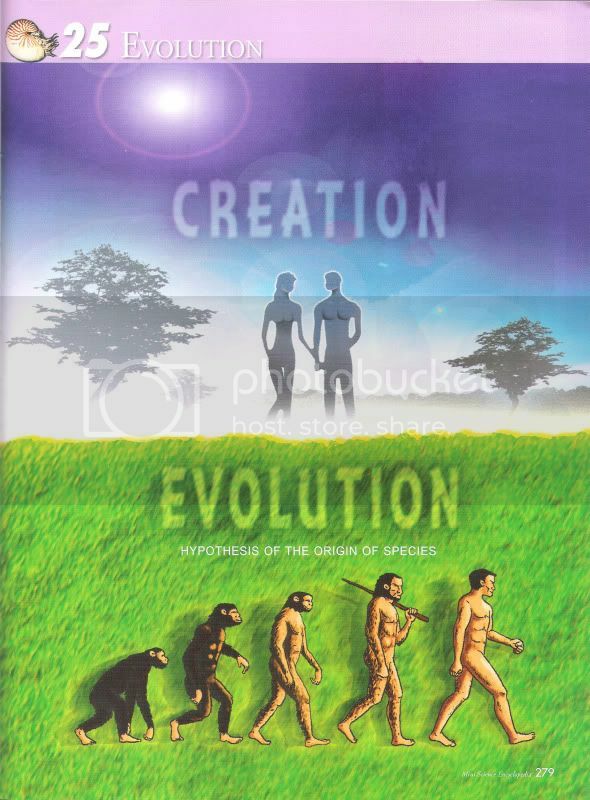 The Online Citizen has managed to interview the following people for their views, including Kenneth R. Miller, a key proponent of the Theory of Evolution and Professor of Biology at Brown University in the United States. He was a key witness in the 2005 Tammy Kitzmiller vs Dover Area School District court case in the US where “Intelligent Design” was “put on trial” (See here). Lim Geok Leng, the publisher and deputy general manager, Panpac, declined for the meeting to be recorded, considered an interview, and quoted. She also declined to divulge how many schools are offering the optional reference text. It wasn’t made clear whether TOC’s request, a fortnight ago, to be put in touch with Ang Woon Chuan, MSE’s author, was relayed. Lim was noncommittal on how and when Ang might respond, or whether she would be available to. There was no acknowledgment of negligence in the vetting of MSE; It is unknown whether “The Theory of Creation” will be excluded in the future edition or reprint of MSE. “To be honest, our church does not have an official stand on Creationism. We have a diversity of opinions in our membership which we encourage. We do not have a Pastor (who dictates what all should believe), we are run by a Church Council of which I am part that guides and challenges our members to think through their own faiths. We ask of our members to always respect the place of reason (science, knowledge, critical thinking) and human experience alongside scripture and tradition. “There are many new questions that we can and should be asking if we take our faith seriously—this is nothing new—traditional theologies have been challenged in every generation and new theologies are being formed to address them in every new generation. In my personal opinion (which may differ from some FCC members) the Bible is not meant to answer questions of modern science. “Generally, it’s the Christian’s version of creationism that’s being pushed, but there are other versions of ‘creation’: What about Islam’s? Or the Mayan’s? Or the Icelander’s? Or Pangu, the Chinese version. “They are all great stories, made up long before the human race knew what ‘science’ is. I have no problem with taking the Bible as a collection of stories: I have no problem if they teach creationism in Church. But creationism has no place in the science classroom.